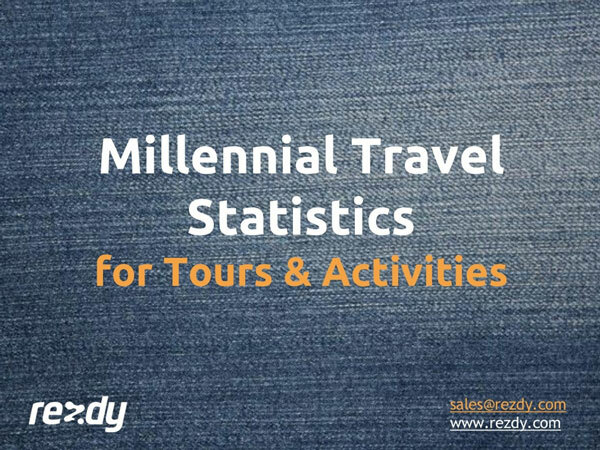 There is plenty of valuable research on millennials that tour operators can make use of. Here we’ve compiled some key statistics that will help you to understand the millennial mindset so you can capture that lucrative slice of the market. 1. The rise in youth spending “vastly outstripped” that of other international travelers (WYSE) Tweet this stat! 2. Young travelers now represent 20% of international tourism (WYSE) Tweet this stat! 3. One in four millennials are planning more overnight leisure trips this year compared to last year (MMYG Global) Tweet this stat! 1. Millennials book organised tours and entertainment/activities online before a trip (Tourism Australia) Tweet this stat! 2. Millennials are “fluent and comfortable with booking plans online, as well as on mobile and tablet devices” (HVS) Tweet this stat! 3. Millennials will choose to connect with companies on social media – but want something in return (ie. perks & discounts) (SDL) Tweet this stat! 4. Millennials discover content mostly through social media (SDL) Tweet this stat! 1. Millennials touch their smartphones 43x per day (SDL) Tweet this stat! 2. 44% of millennials expect their experience with your company to be consistent regardless of channel (SDL) Tweet this stat! 1. 70% of millennials indicated they expect to be offered immersive experiences that are interactive and hands-on (HVS) Tweet this stat! 2. 60% of millennials would rather spend money on experiences than material things (MMGY Global) Tweet this stat! 3. 58% of millennials prefer to travel with friends – they can’t bear the feeling of having missed out (HVS) Tweet this stat! If your potential customers can’t book your tours online and through their mobile device, you are missing out on a big piece of the millennial market.